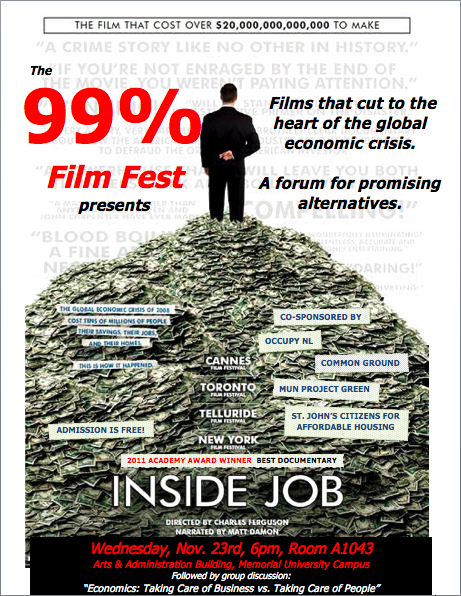 The first film of the 99% Film Fest is the Academy Award winning "Inside Job". 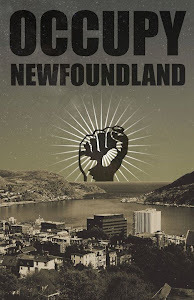 Wednesday November 23 at 6 pm in the MUN Arts & Admin building room A1043. Admission is FREE. 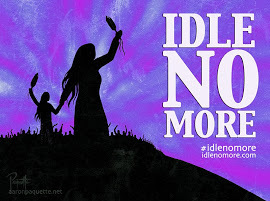 The film will be followed by a group discussion.